Phi Iota Alpha — Phi Iota Alpha Fraternity, Inc. The roots of Phi Iota Alpha Fraternity, Inc. were implanted at the Rensselaer Polytechnic Institute (RPI), Troy, NY in 1898. A group of Latin American students organized the Union Hispano Americana (UHA) as a cultural and intellectual secret society based on the ideology of Pan-Americanism. The immediate goals of the UHA were to provide a cultural environment for students of Latin America and Spain. The UHA was the first association of Latin American students ever founded in the United States. The ideals and operations of the UHA expanded to several colleges and universities in the United States. However, due to the secrecy imposed upon its members, not many records were kept. The expansion and growth of the UHA was based on compromise and the ultimate need of similar organizations to unify and become more powerful. Pi Delta Phi then established communications with Phi Lambda Alpha Fraternity, which had been recently founded in 1919 at the University of California, at Berkeley. After some communication, these two organizations realized the existence of the strong non-Greek letter secret society of la Union Hispano Americana. As a result of intensive correspondence and various interviews, the three organizations merged. In their merger agreement, the three organizations adopted the name of Phi Lambda Alpha Fraternity, with the distinctive emblem & constitution of Pi Delta Phi, and the goals & motto of the Union Hispano Americana. This new union was formalized in June 1921, in the city of New York. Meanwhile, in the southern part of the United States, another similar organization was under development. Sigma Iota was founded on November 27, 1904 in Louisiana State University as a secret society for Spanish-American students under the name La Colonia Hispano-Americana. Soon after its founding La Colonia Hispano-Americano decided to change its name to Sociedad Hispano-Americana in December of 1904. On March 12, 1912 the Sociedad Hispano-Americana decided to transform itself once more and officially changed its name to Sigma Iota Fraternity. This name change allowed for the official transformation from a Latin American social club to Latin American Greek Lettered Fraternity. Between 1912 and 1925, Sigma Iota expanded very rapidly and became the first international Latino fraternity of Latin American students. By 1928, the international organization Sigma Iota had lost many of its chapters and therefore sought to stabilize its operations by consolidating its chapters in the United States with a more stationary and well-rooted organization. Phi Lambda Alpha was in search of expanding throughout the United States with the ideology of Pan-Americanism in mind. Sigma Iota Fraternity was in search of revitalizing some of its defunct chapters and expansion opportunities. Thus both organizations complemented each other and the arduous work towards the creation of the Fraternity we now know as Phi Iota Alpha was initiated. In December of 1931, the most profound historical event in the history of Latino Fraternities took place in Troy, NY. Delegates from Phi Lambda Alpha Fraternity and Sigma Iota Fraternity assembled with the objective of forming a strong and extensive Fraternity to address the needs of Latin Americans in universities in the U.S. 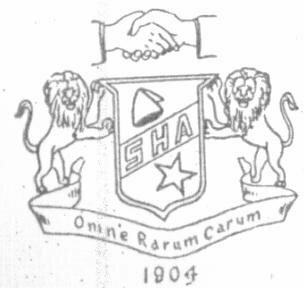 In September of 1939, the Phi Sigma Alpha zone decided to separate from the ULA and eventually, merged with Sigma Delta Alpha to form the Phi Sigma Alpha Fraternity of Puerto Rico. With the outbreak of World War II, the expansion rate was significantly reduced for Phi Iota Alpha in the U.S. By 1951, the Fraternity drafted and implemented a new expansion strategy, hence the decade of the 1950's was a period of positive internal growth for the Fraternity. In the early 1950's, Phi Iota Alpha eradicated any residue of its political agenda. With only a few chapters, the Fraternity continued to pursue its vivid mission by implementing the "Universidad Ideologica." The 1960's proved to be very challenging years for Phi Iota Alpha and all Latinos in general. The effects of a World War II, the Vietnam War, and the 60’s counter-culture created an anti-institutional atmosphere among many college students. In addition, this drastically reduced the influx of Latin American students enrolled into American universities, which hindered potential members. As a result, by 1968, after many years of struggling to adapt to its time, the undergraduate chapter at RPI closed the doors of their chapter house. By 1976, the last active President graduated from RPI, taking with him the Fraternity's official documents and archives. By 1979, the last active brother from the chapter at LSU graduated, thereby marking the closing of the undergraduate chapter at LSU. From 1979 to 1983, the Fraternity witnessed a period of inactivity at the undergraduate level. Some efforts were made to re-emerge Phi Iota Alpha but these efforts did not bear any fruit. Throughout this period brothers continued to maintain communication and to accomplish the mission of the organization. The history, ideals, and goals of the Fraternity never diminished; it simply did not have active undergraduate members to cultivate them. Phi Iota Alpha continued to exist within the hearts of many graduate members as they continued to develop their professional lives mostly in Latin American countries and in the United States. In 1984, a group of determined young men at RPI, upon learning about the Latino empowerment and culture that once existed on their campus, took the challenge of reviving the spirit of Phi Iota Alpha. In doing so, these courageous young men became the new generation of Phi Iota Alpha Latino Fraternity, Inc. Briefly after the re-emergence of the Fraternity, in an extraordinary session, the last Secretary General instituted the members of the RPI chapter as the Alpha Chapter on April 4, 1984. In the 1980's the Fraternity dedicated its efforts to rebuilding the organizational infrastructure and to expand to several universities in New York State.